Eric Garner's mother, Gwen Carr, is the latest to voice her support for Clinton. Mothers who have lost their sons to police officers are standing by Hillary Clinton in her pursuit of the presidency. 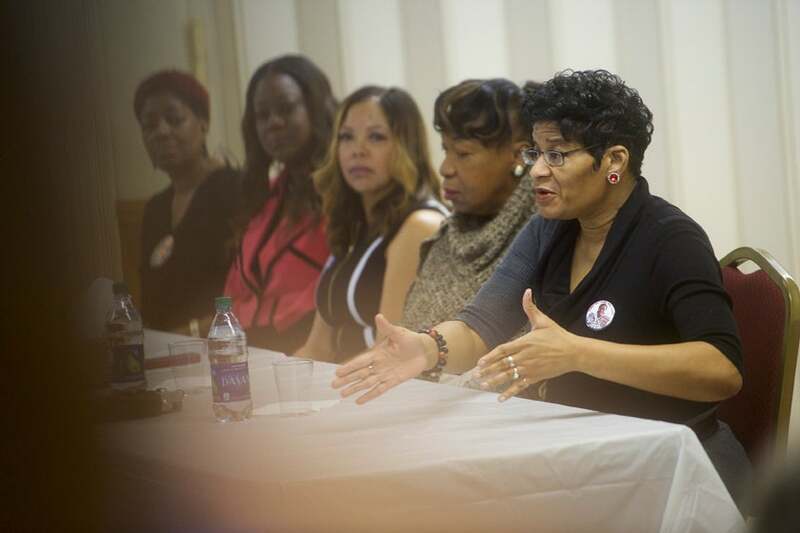 Among the five mothers who campaigned for Clinton Monday afternoon at Mount Zion Missionary Baptist Church in South Carolina was Gwen Carr, whose son Eric Garner was killed when a New York City police officer put him in a chokehold in 2014. While Hillary Clinton was not at the event, Ms. Carr, along with the mothers of Trayvon Martin and Sandra Bland, will continue to speak at events for Clinton around the state today.